That’s all I got this week. For emergency services, be more precise! Or something. I know I know, I can do better. What can I say, it was a dimly lit bar and I was partying a bit. I vaguely remember the fine print was funny. Guess we’ll never know. 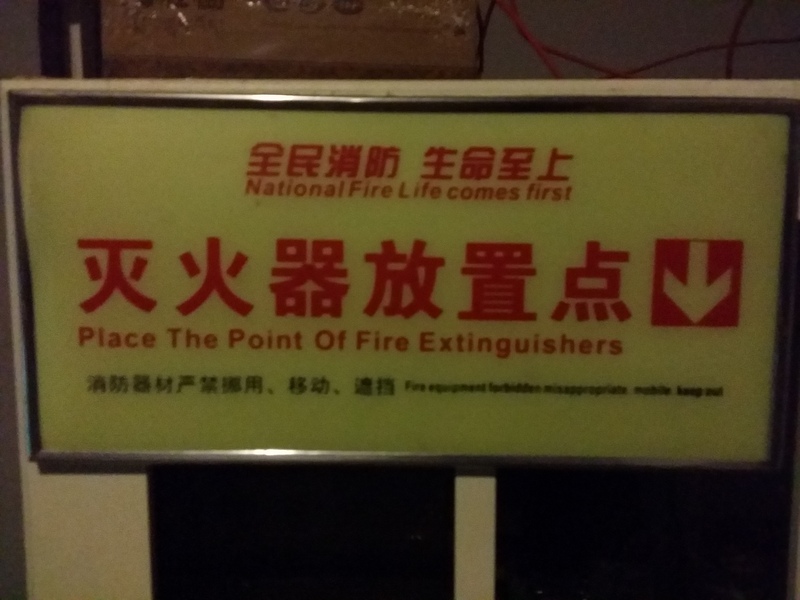 This entry was posted in Chinglish and tagged China, fire, fire fire fire by Ray. Bookmark the permalink.